Summary: How many times we hear someone proclaim, “If I want something done right, I’ve got to do it myself!” While the truth of the statement varies widely in earthly situations, it’s absolutely correct in matters of salvation. 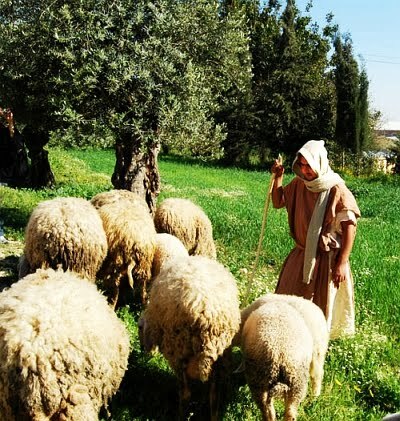 Only God is capable of rescuing His poor, lost sheep from the bonds of sin and death. Through Ezekiel, He condemned the poor performance of those He place over Israel. Priests and kings, instead of leading the nation in righteousness, were often among the worst offenders against God’s holy Word. Yet the common people aren’t let off the hook. The fat sheep bedevil the scrawny and the sick; those who have even a little take advantage of those who have less — particularly of those who have nothing at all. While some of Judah may have thought that this prophecy was fulfilled in the return of the captives from Babylon, there was much more yet to come. The Lord rescued His people so that, in the fullness of time, He might be born in their midst of the Virgin Mary. The Lamb of God paid for the sins of the sheep. The Good Shepherd now leads them through this life in the sure and certain hope of life everlasting. In His Church and through His chosen under-shepherds, He confronts and forgives sin, calms fear, and promises grace and every blessing to all who believe on His name. Text: “For thus says the Lord God: Behold, I, I myself will search for my sheep and will seek them out. As a shepherd seeks out his flock when he is among his sheep that have been scattered, so will I seek out my sheep, and I will rescue them from all places where they have been scattered on a day of clouds and thick darkness. And I will bring them out from the peoples and gather them from the countries, and will bring them into their own land. And I will feed them on the mountains of Israel, by the ravines, and in all the inhabited places of the country. I will feed them with good pasture, and on the mountain heights of Israel shall be their grazing land. There they shall lie down in good grazing land, and on rich pasture they shall feed on the mountains of Israel. Audio: Click to hear the MP3 of I’ll Do It Myself, preached to the saints of God at Our Redeemer Lutheran Church, Marshall, Missouri.